This week will see the Martinez Brothers Cuttin’ Headz imprint return with a five-track EP from Luke Solomon, featuring remixes from Byron The Aquarius and Filsonik. 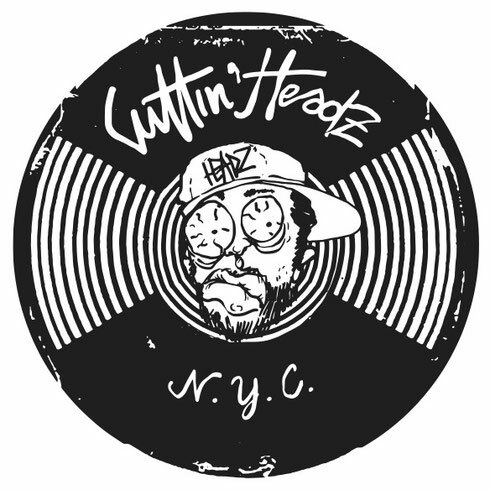 Although only marking its seventh release here the Cuttin’ Headz imprint most recent output, a collaboration between label-heads Martinez Brothers and Miss Kittin, apparently garnered support from both underground and commercial tastemakers. Here though the label reaches out to Luke Solomon, co-founder of The Classic Music Company alongside Derrick Carter, and a name associated with raw, authentic and soulful electronic music. The Vocal Mix of ‘Script’ kicks things off and sees Solomon deliver a take on modern house music via crunchy rhythms, flowing bass sequences and an ever-evolving dynamic while Nick Maurer’s murky vocal stylings are processed to further fuel the tripped-out hypnotic feel of the record. ‘Beats Work’ follows and lays the focus on bumpy percussion, a 303 lead, sporadic synth fills and a hooky vocal lick to create an understated dance floor workout. Atlanta’s Byron The Aquarius turns in an interpretation of ‘Script’ to follow, employing bell chimes and soft atmospherics to swell around the foundation of the original composition before New York’s Filsonik strips things back to the core with his 808 led rework. The package is then closed with a ‘Long Time Dub’ from Luke focusing solely on the driving energy of the record. Luke Solomon’s ‘This.Beats.Work’ EP is out on Cuttin’ Headz tomorrow.